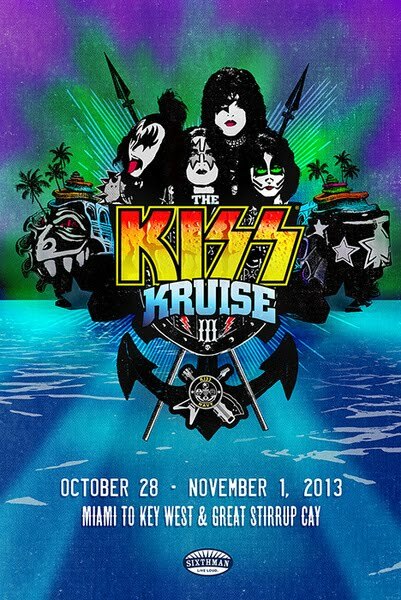 KISS recently announced details for KISS Kruise III, and now the band have launched the website for the 3rd annual trip. KISS Kruise III is set for October 28 - November 1, 2013 on board The Norwegian Pearl sailing from Miami, Florida to Key West, Florida and Great Stirrup Cay, Bahamas. Fans can register online for the presale at the website here. - KISS will be hosting a Meet & Greet JUST FOR KIDS (2-14, no parents allowed)! Each child will get ONE item autographed along with a large group photo with the band.